I hate surprise parties! Where are my raisins? 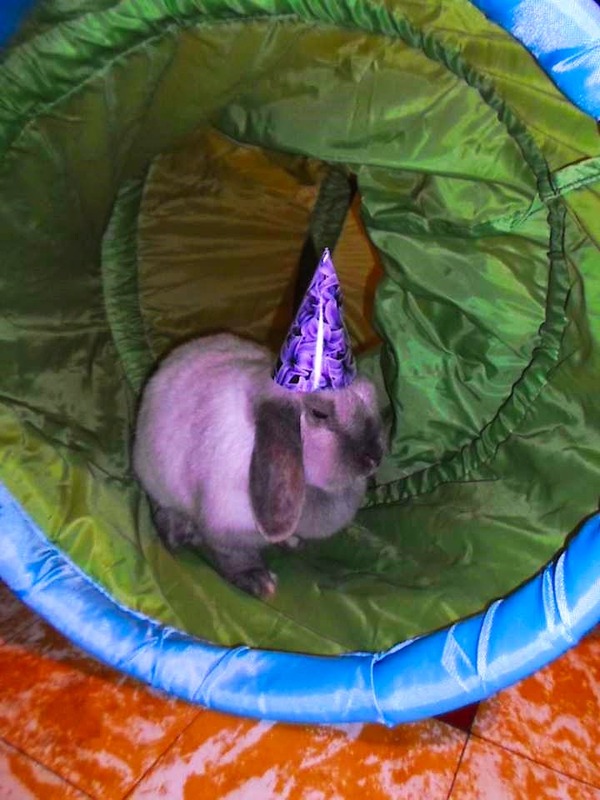 Bun Bun, if you mean by "raisins," the persons who raised you, cared for you, and gave you this great party, well, the authorities are searching for them. As a little cultural aside, inTexas, "remember your raisin," is what Dads say whenever they bid adieu to their offspring. That isn't really what they say. It just sounds like that, so we have a lifetime to laugh about remembering our raisins. The Texas you speak of sounds so much more interesting than the one I have come to know through other news sources. I sure learn a lot on this blog, but I don't think those are the "raisins" that Bun Bun is looking for. I hope he gets plenty soon. Otherwise the surprise will be on poor Chris. Well, it's his birthday so bring a selection of raisins and things that sound like raisins and hope for the best!